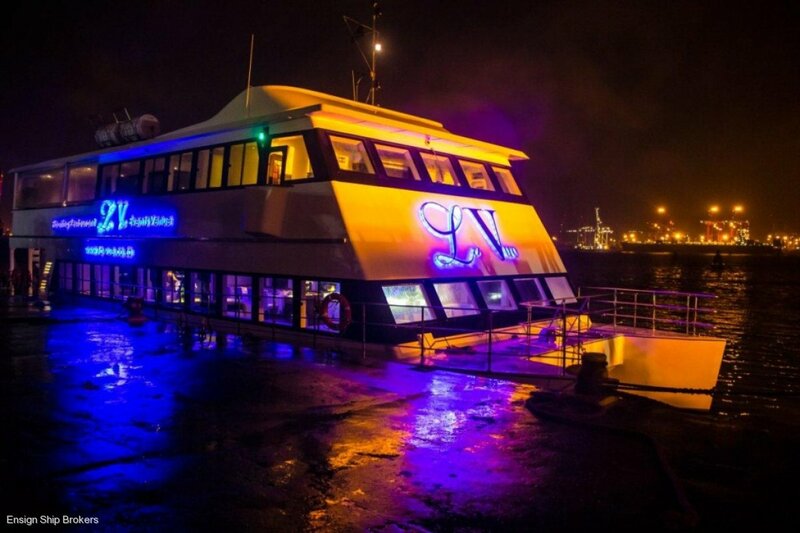 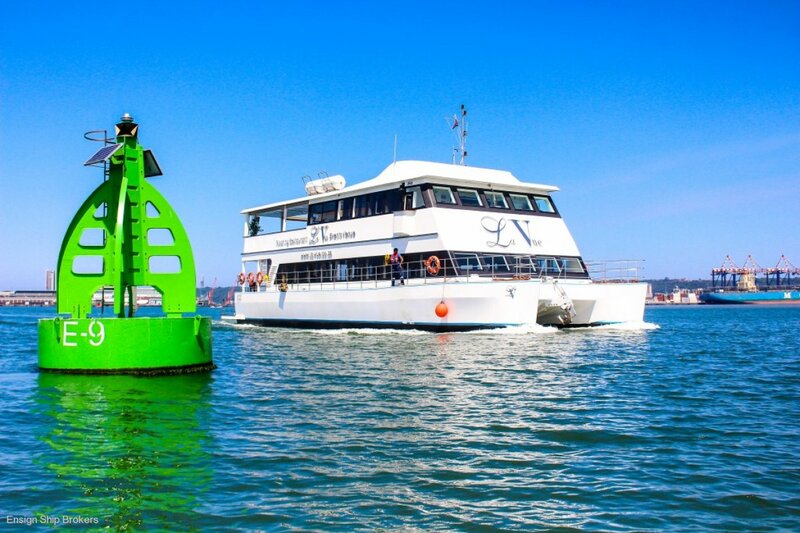 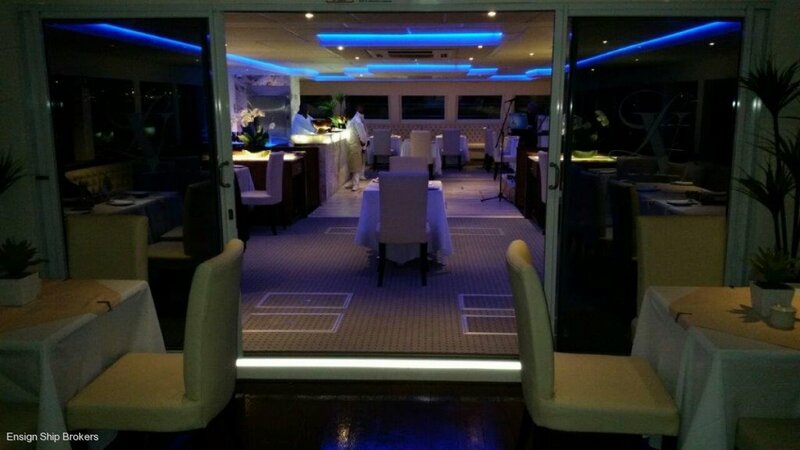 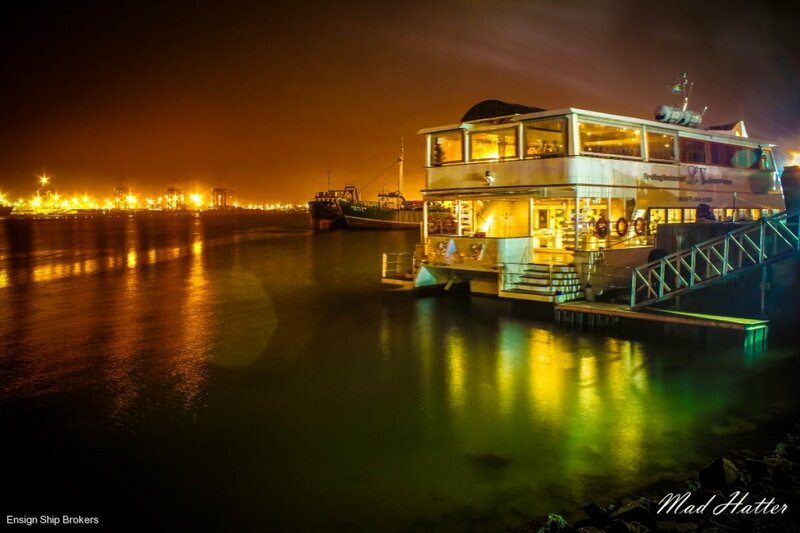 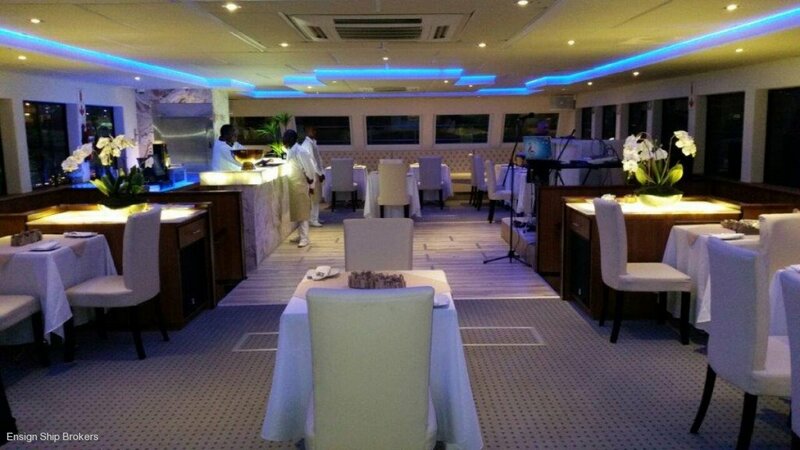 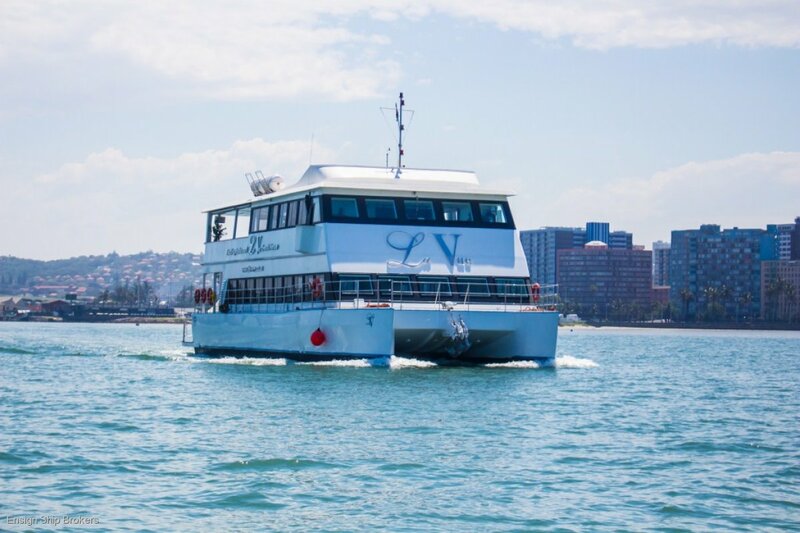 Catamaran - Luxury 6 star - 200 PAX Floating Restaurant - 2014 built. 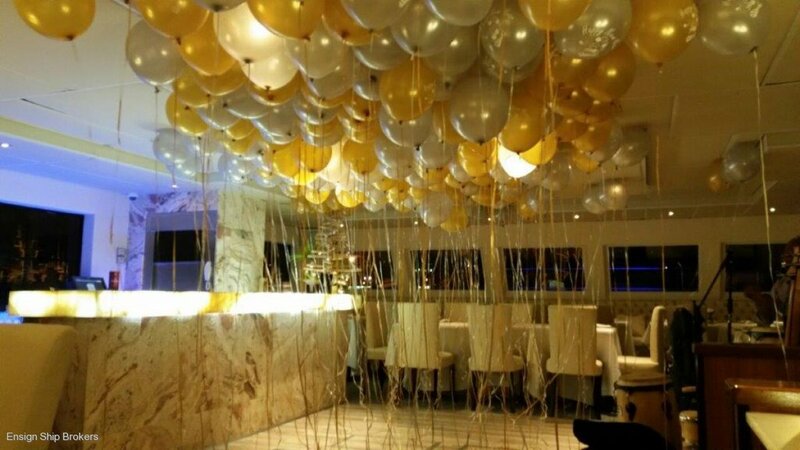 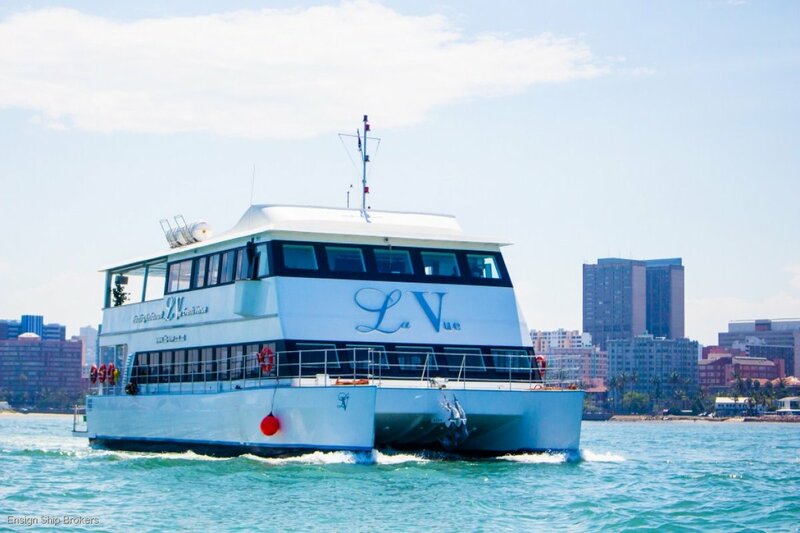 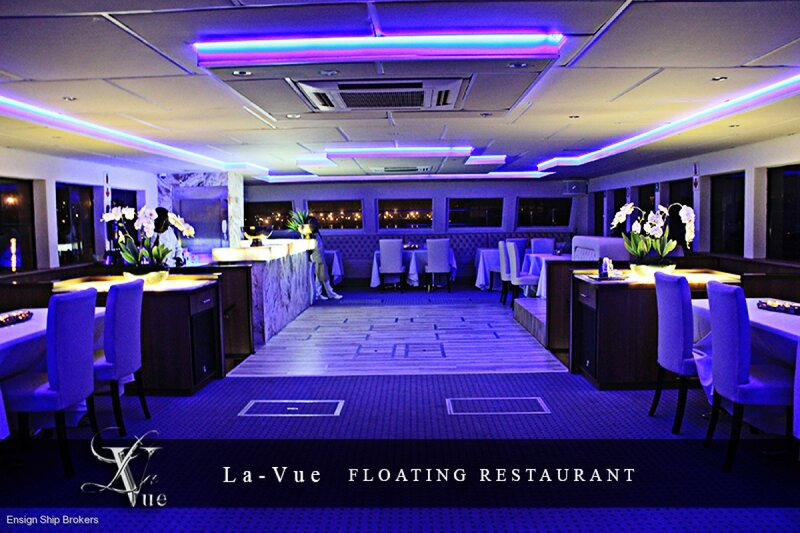 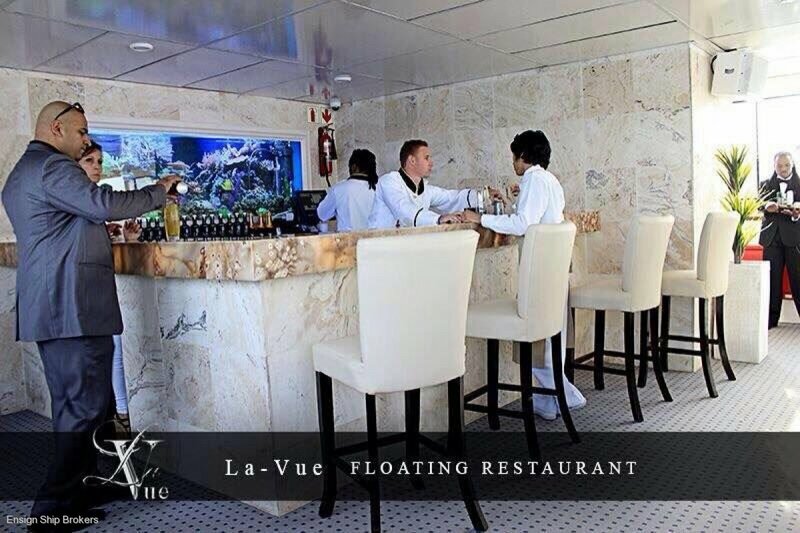 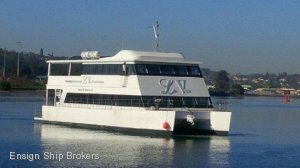 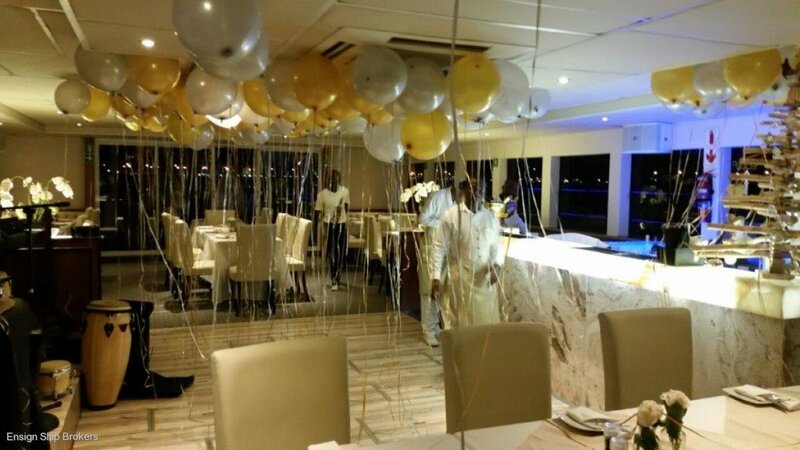 La Vue is a purpose built fully operational luxury floating restaurant and cruise ship with fine dining, functions, weddings, corporate and events possibilities. 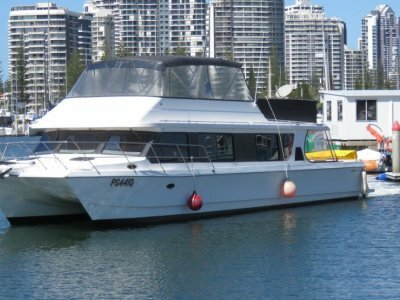 Almost unobtainable in as new condition would suit Sydney Harbour, Hong Kong, Singapore or ship to Europe or the USA. 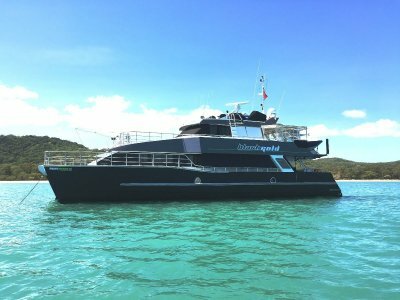 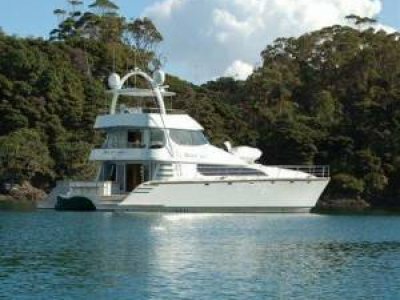 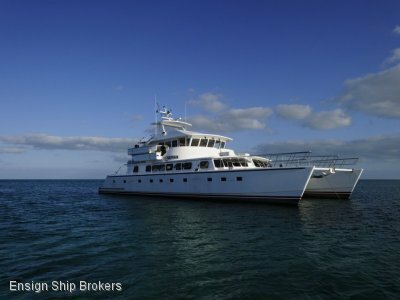 Built for Commercial operation class V1 (SAMSA) and available at a fraction of her build cost LaVue is seriously For Sale. 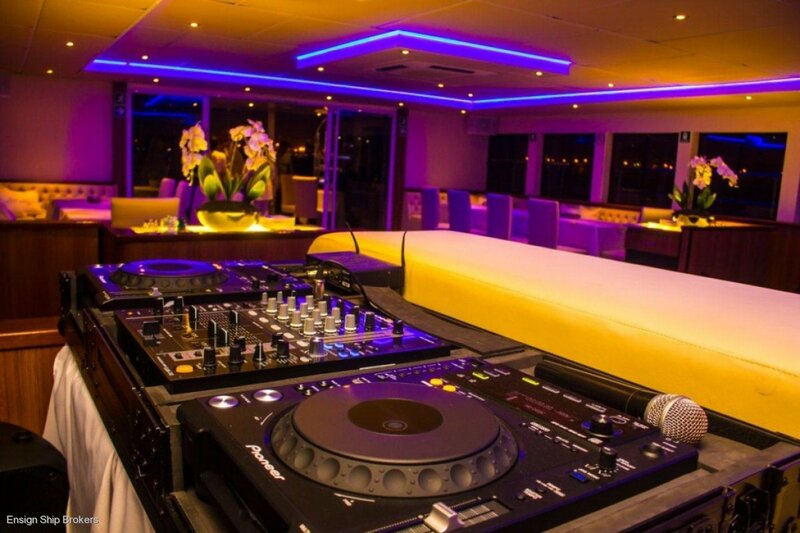 Ensign Internationals team will provide a complete management program for shipping, importing and documentation. 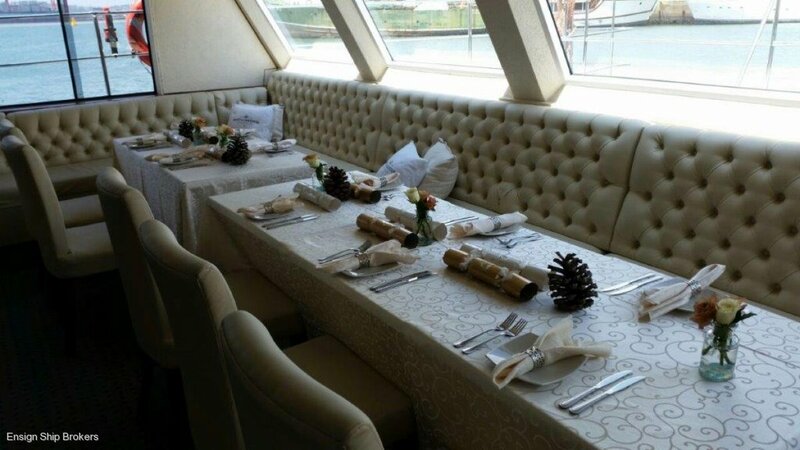 • Starboard and Port light fitted to sides of wheelhouse. 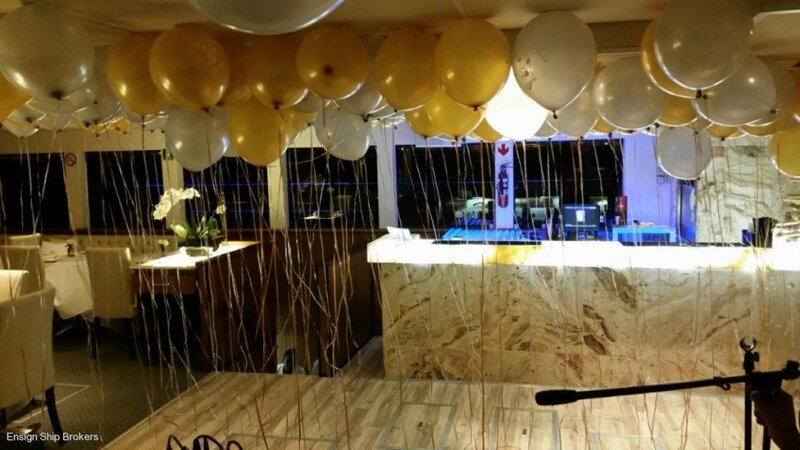 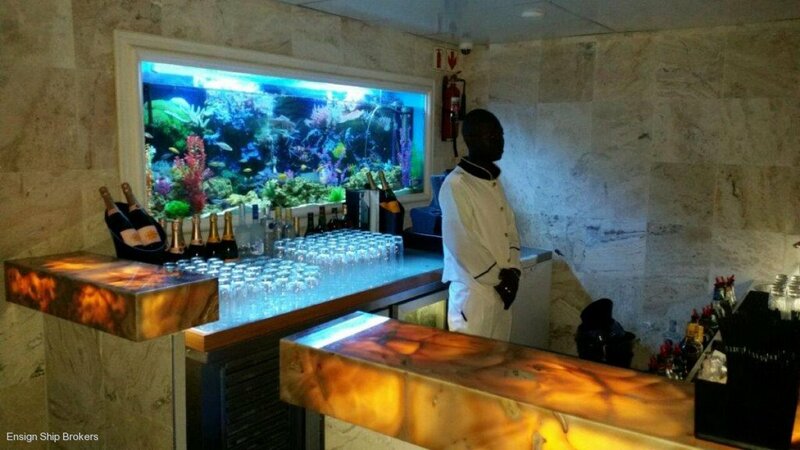 • Bar upfront behind main wheelhouse bar counter tops onyx marble. 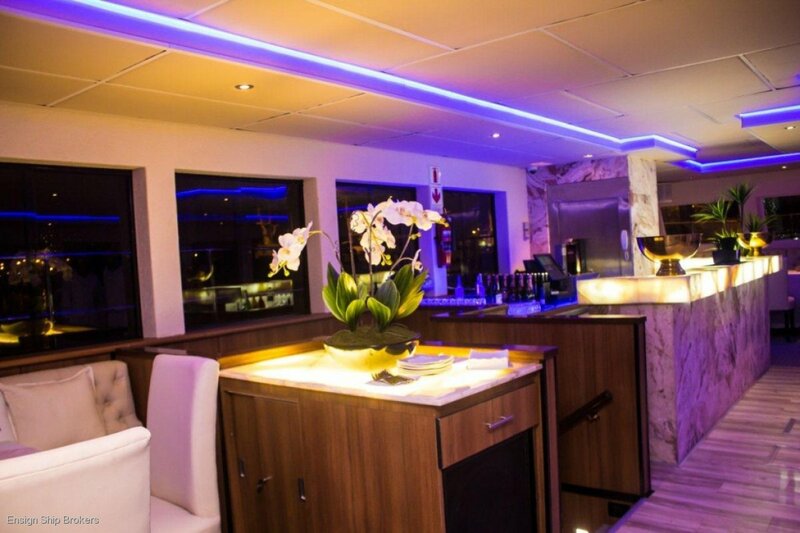 • Glass dome in centre of roof.